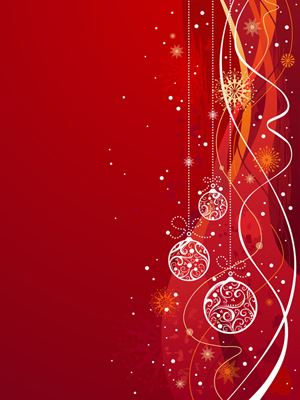 The holidaze are upon us: Merry Christmas, Happy Hanukkah, Happy Birthday (yes, some of us have that thrown in for good measure), Happy Kwanzaa, Happy New Year… They’re all relevant, as is wine, to many of December’s cultures celebrating these festive days. I’ve come to realize, December means that every single one of us, celebrating these holidays, takes on a part time job, on top of everything else we’re doing in December. It can be exhausted just thinking of it, and this is only December 4. Perhaps this list will help you make some decisions. All prices are listed, so match your gift against your budget, and away we go. Here’s a gift for you, for starters, and for you to sharewith everyone you know. The coloring craze has cycled back from our hippie-dippie days, and I know why. 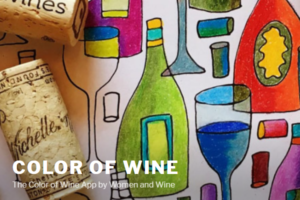 All you need to do is go to the Apple Store and download Color of Wine: iPhone now, Android in early 2018. Did I mention it’s FREE? You do need to register with Facebook, to save or share your work, don’t forget. And, there are over 300 colors that you can choose! I’ve tried it and it was a blast from the past. See the fun and how to on bottom of this post, for the YouTube Video. Written by Ralph Steadman, it has 64 pages of color illustrations. 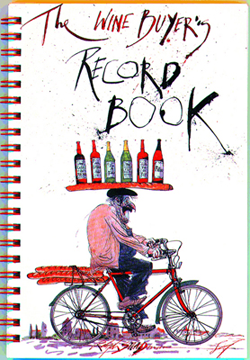 “Internationally celebrated cartoonist Ralph Steadman provides a handy and humorous little book to keep track of your wine tasting experiences, your cellar stock, and other vinous notes. Steadman’s whimsical art decorates the book in full-color, providing a chuckle as you make your notes. These wine glasses are totally charming, while also creating an important and fun function that was yet to be designed. It’s an invention that’s been a long time coming. We just enjoyed a 1971 Margaux. If we hadn’t been under mandatory evacuation during the California fires, I would have driven home for my Spirales. Yeah, it was one of those moments. Sounds awfully geeky, but sediment is sediment, right? See the little cork screw at the bottom of the glass? As Vacanti states, would you rather spend your time savoring or not straining your wine? Well, with these very special glasses, you no longer need to strain or filter the sediment from your red wines. You simply pour, drink, and enjoy to the last sip. 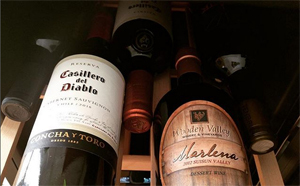 Spirale has revolutionized the wine drinking experience. This is for those of you who enjoy wines that haven’t been filtered or fined (like I love them). You’ll occasionally get some sediment and this glass captures it all. Margarita and Patrick Vacanti state, “A captivating design. Our elegant hand-blown design is a perfect fusion of form and function. 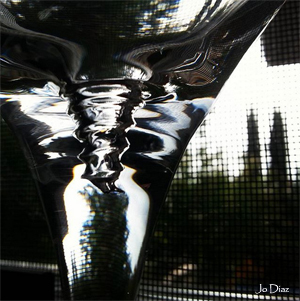 As sediment settles to the bottom of the glass, the spiral in the stem separates it from the wine. Our patented feature keeps the sediment at bay, even while tilting your glass to enjoy the wine. Loma Living creates minimalist home storage for bikes, wine, and more. The designs and crafting are all made in Philadelphia, USA. 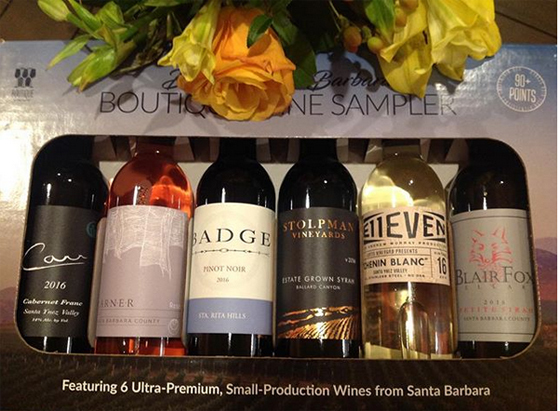 On their Wine and Bar page, prices range from $25 to $75, and everything is 25 percent off through Christmas., and free shipping. 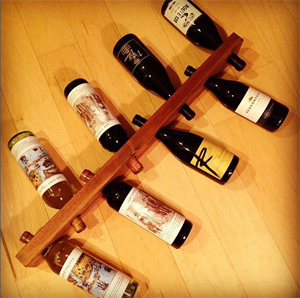 If you’ve got a wine and wood lover, this company is your new best friend. The color of wood, for each item, also varies from dark to natural finishes. This is the big one, Ladies and Gentlemen. This is the one that you hold back, like my parents did to me, when it was my first bicycle. That was the Christmas that my prayers weren’t answered, when I kept praying for snow, so it would be a white one. Then, I got “why,” if that was all truly possible. As it turned out, I got in 10 great days of biking, before the snow finally came and I had to wait for Spring in May… About May in Maine, I’d say, when I could get back out there. With this one, no one has to wait for anything, just get that packaging out of the way, some warm soap and water, dry it, plug it in, and begin to load it. Let the snow flakes fall. The great part of this wine fridge is it’s streamline construction. This one, as slim as it is, can hold up to 29 bottles of wine. When you first look at the shelves, you think, “What? Only five levels, and I’m counting three across, so what am I missing here?” What I was missing, for a few minutes, is that the shelves pull out for more loading. The depth of the shelves allows for five across, not three, in an up and down placement. All you have to do is move the front bottles to the back, and viola! Five on each shelf. This is the best convenient storage unit going. 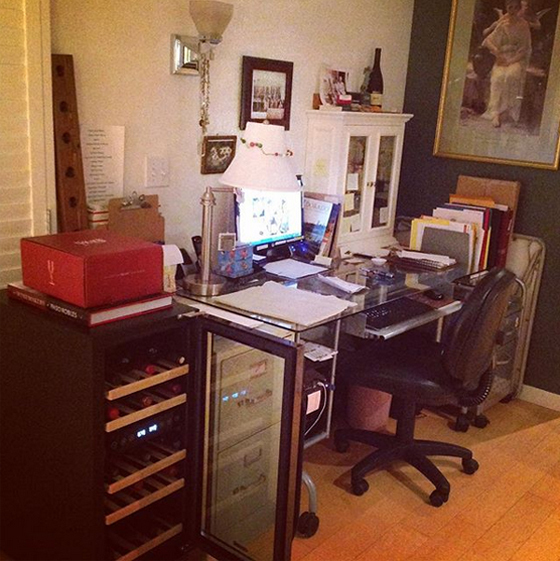 A few days before this beauty came into my life, I had been longing for a wine fridge, where I could store arriving wine samples, right next to my desk, instead of all over the house. I was queried, I said yes, and delivery happened in the blink of an eye. I thanked NewAir for reading my mind, as you can well imagine. #AWR-290DB-B, life just got real!